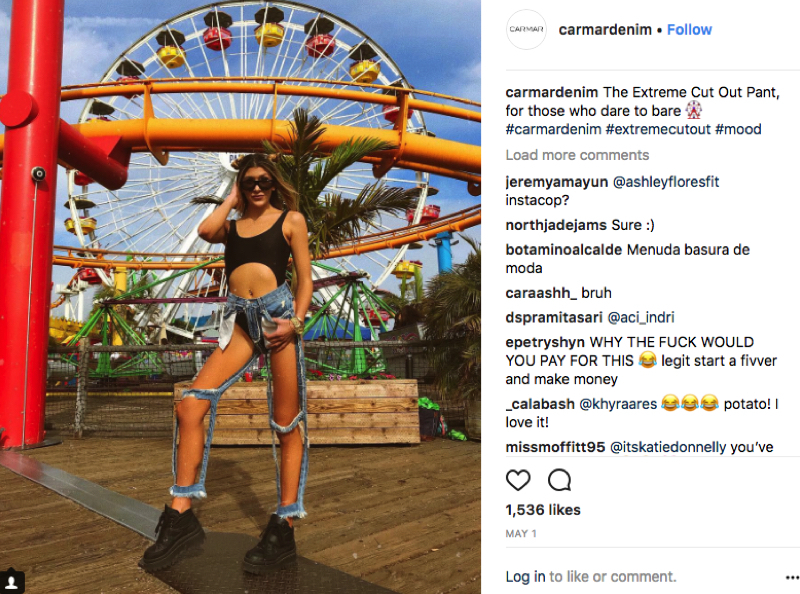 Recently, Carmar Denim caused some major confusion and people are going like “Tf is going on?” when they promoted a pair of “extreme cut out” jeans. Yup, that’s right. How crazy extreme is that?! They’re described as high rise pant with large statement cutouts on front and back. Designers even describe the item as having a “relaxed fit” (Although I’m not so sure how relaxed you’d feel wearing these in public). Think you can pull it off? 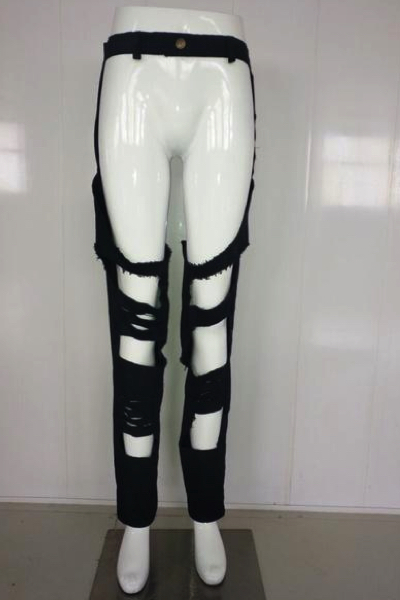 These extreme cut out jeans are going at $168.00 USD. Omg, I am gobsmacked! Is this a joke? 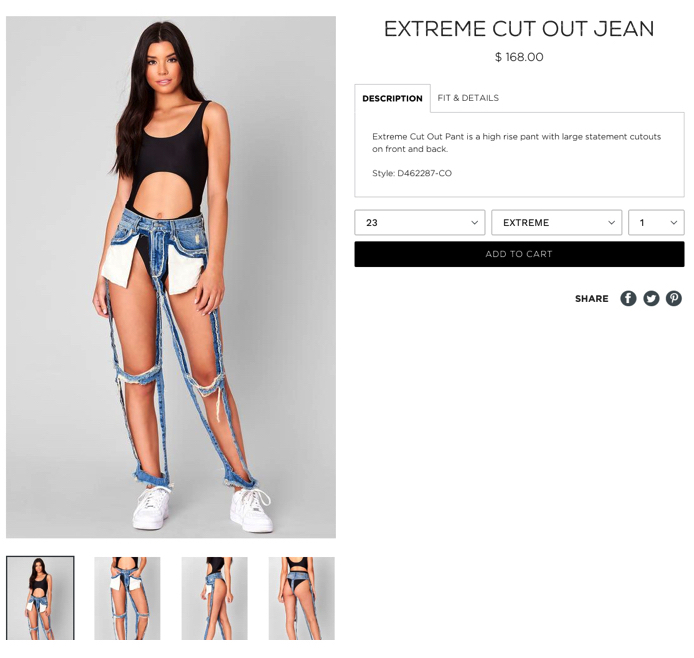 $168.00 USD FOR A PAIR OF STRINGY DENIM JEANS. Wait, are they even called jeans? Or are they called belts? Apparently they only weigh about 20grams. 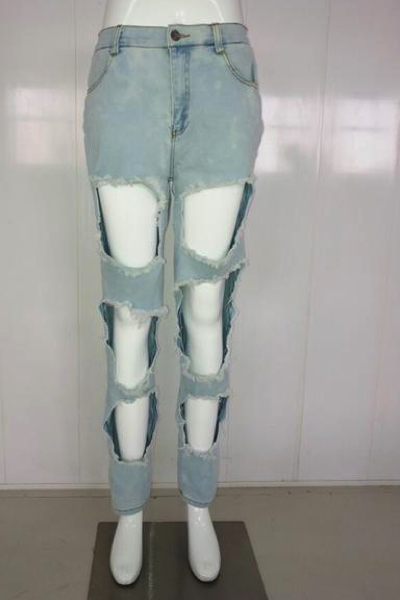 I don’t know about you but this definitely ain’t my idea of distressed denims or in this case, relax fit. For the bold and sassy fashionistas, if you’ve think you can rock these pants like you are on-point with the cut-out trend, here are a few suggestions that I think you might like. Okay, I take back my words. I wouldn’t suggest you to wear them. I dare you to wear them. 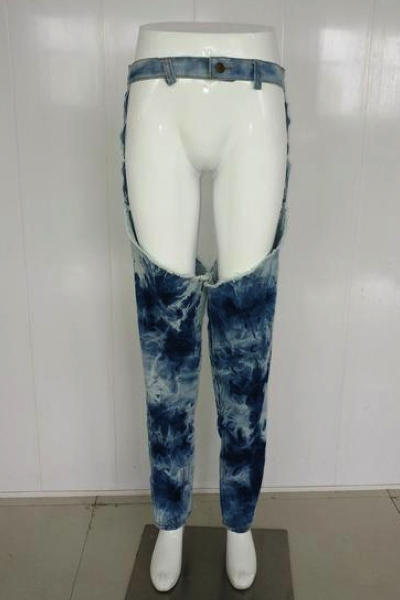 These are pants made only for the bold. On the upside, they would cost you way less than $168.00 USD. Absolute bargain! 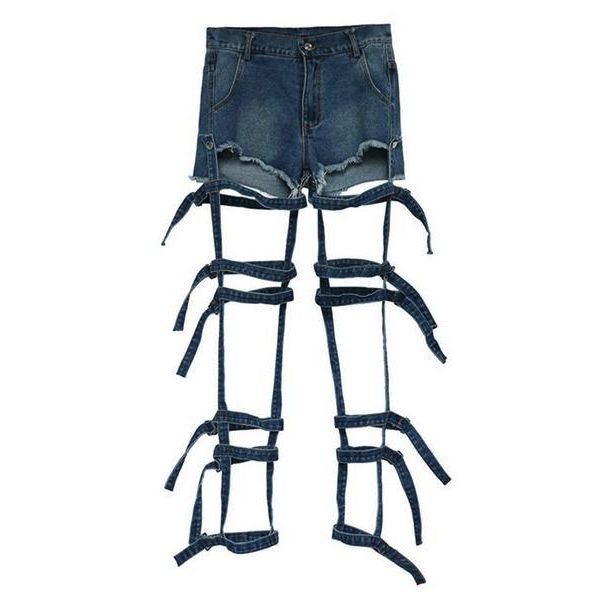 For starters, if you’re thinking “Denim shorts don’t show enough skin.”, how about denim shorts with cut out pockets? 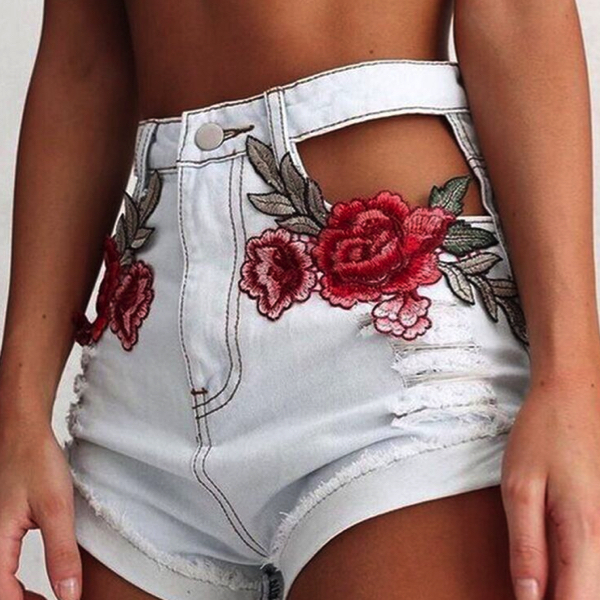 At least they are embroidered with florals for that feminine touch. Next, we have a these denim pants that give you the best of both worlds; the comfort of shorts and the look of jeans. If you have not decide whether to pack a pair of shorts or jeans on your vacation, no worries! Bring this pair with you and decide later. 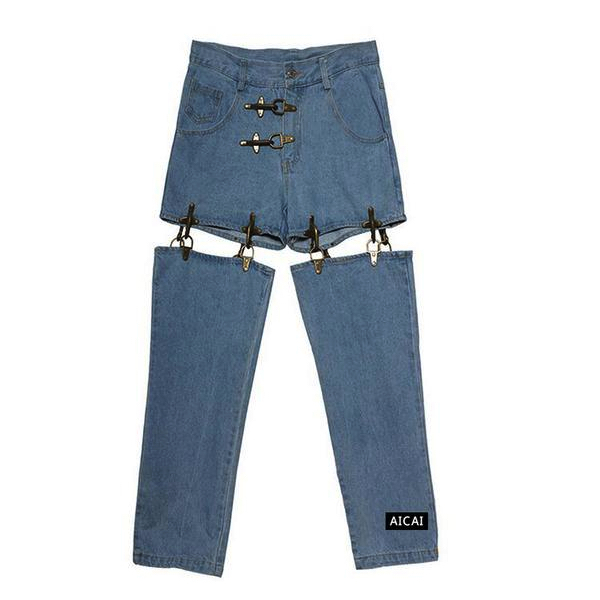 The leg pants are detachable. If you’re looking for some distressed jeans for that rugged look, the question is, how distressed is too distressed? These distressed denims are cutout and frayed around the edges. Well, this ain’t too bad. We have another something more bold that leaves very little to the imagination. For this design, there are two similar pairs. Different colours for you to choose from. 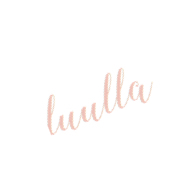 One with a washed out design while the other one’s distressed. Is there a difference, really? Save the best for the last, if you’re looking to rock a whole new style, forget distressed jeans and try these cut out jeans instead. 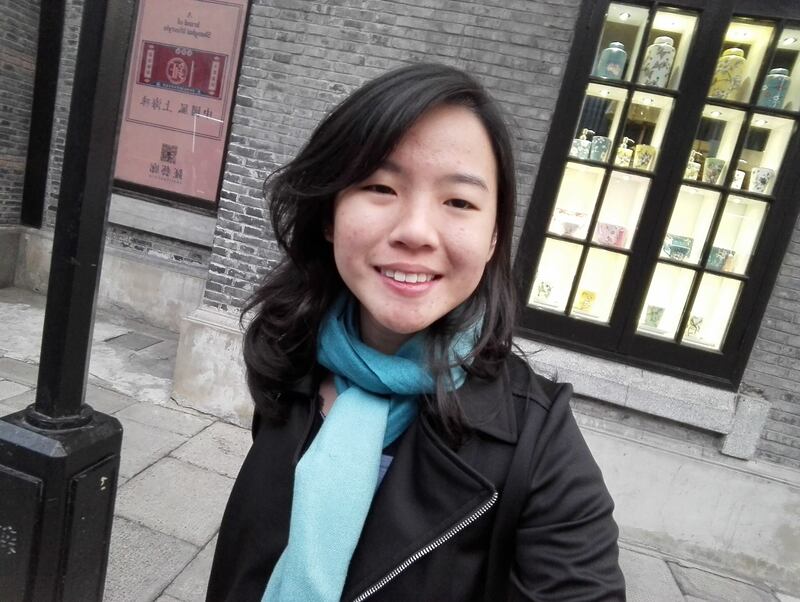 Totally head-turning and it shows a generous amount of skin! How much is too much when it comes to distressed denims? 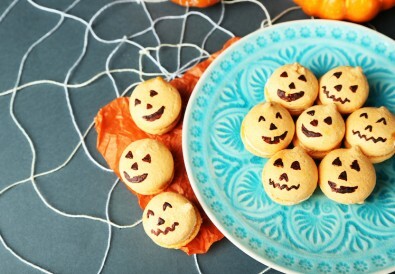 Double dare you to try these looks!